This tutorial will guide you through installing the latest version of Ghost on a fresh CentOS VPS. 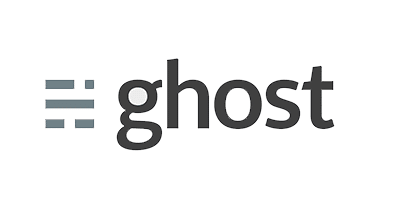 Quick Note: While this tutorial is here to assist with installing Ghost on CentOS, we cannot provide development or configuration support. If you have any questions regarding Ghost, we recommend the Ghost forums. Now we can install Ghost. In this instance, we have retrieved a direct link for download, however please ensure that you are always fetching the latest version. The latest version can be obtained via your Ghost account. Ghost will be configured to run on port 80. You can change the way Ghost is configured by modifying the config.js file. This will start a Ghost session in the background; you can exit the session by hitting CTRL +D. Where x.x.x.x is your public IP address. You will be prompted to setup an administrator account so you can start blogging straight away. How do I use a custom domain with Ghost? Ensure that you replace mydomainname.com with your own domain name and you have setup A records to point to your VPS’ IP address. How do I ensure Ghost starts on boot / startup? We’ve created a CentOS Ghost upstart script that can achieve this for you. usage "This script will execute at runtime. No need for manual invoke!" Next time you reboot, Ghost will be automatically started in production mode. You can setup Ghost to work with a number of different ESP’s. We’ll be using Gmail in this scenario. Note: it’s recommended that you setup an alternative Gmail address to send transaction emails. Enter your Gmail address and password in the respective user and pass fields.